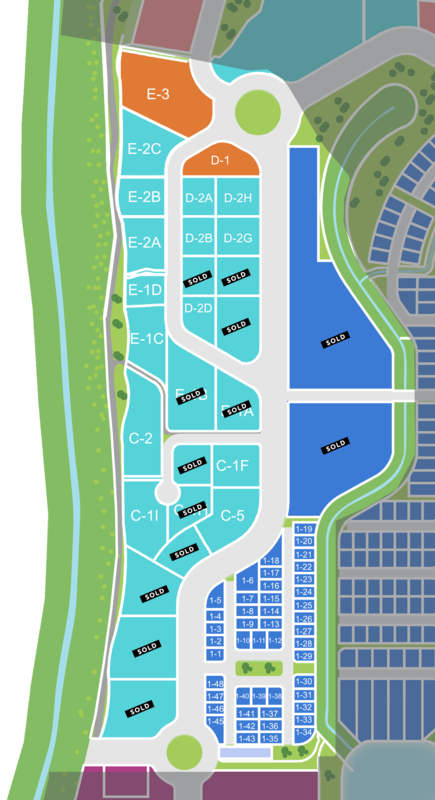 Select a phase to view extent of phase and zoom in to view lot availability. Select construction type to view details. Select a plot to download constructions details PDF. High density mixed lots of land intended for the construction of offices and / or apartments at height. Lateral retirement of 5m or 7.5m according to the length of the front. Landscaping and trees in retirement, excepting access to the building. 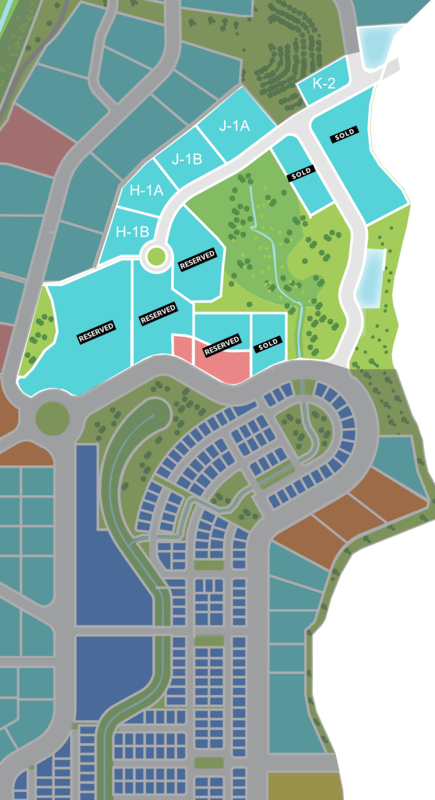 LANDS READY FOR IMMEDIATE CONSTRUCTION! 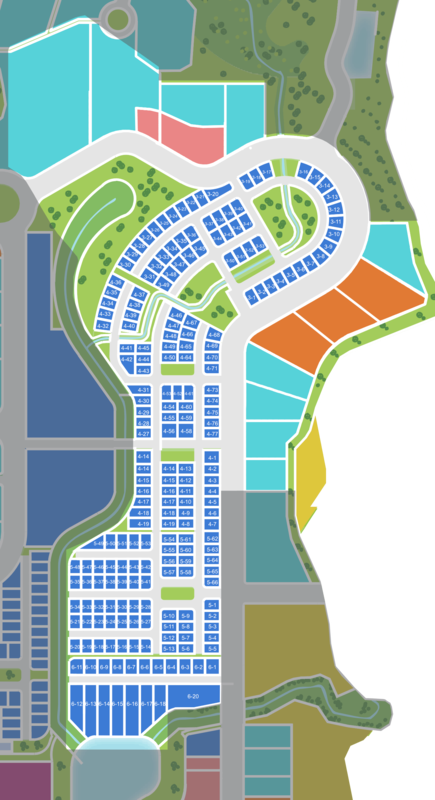 High density residential lands intended for high rise buildings, where developers have a unique opportunity to acquire at a very good price land highly valued in the market for the construction of large real estate projects of apartments. Density of 1500hab / ha. 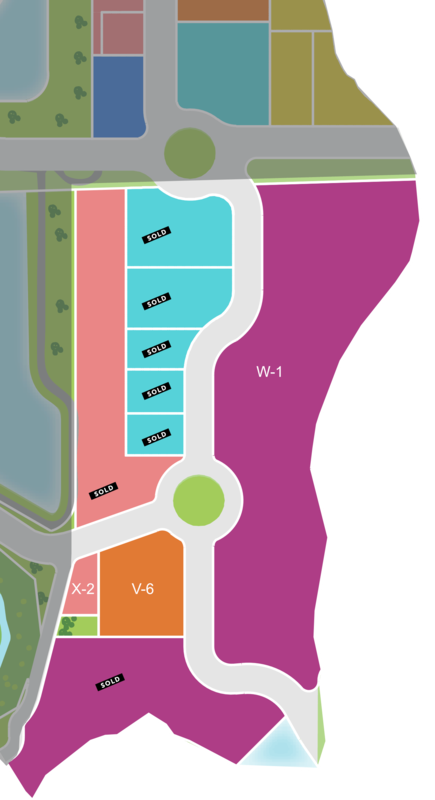 Lands for the construction of commercial spaces of maximum two floors. 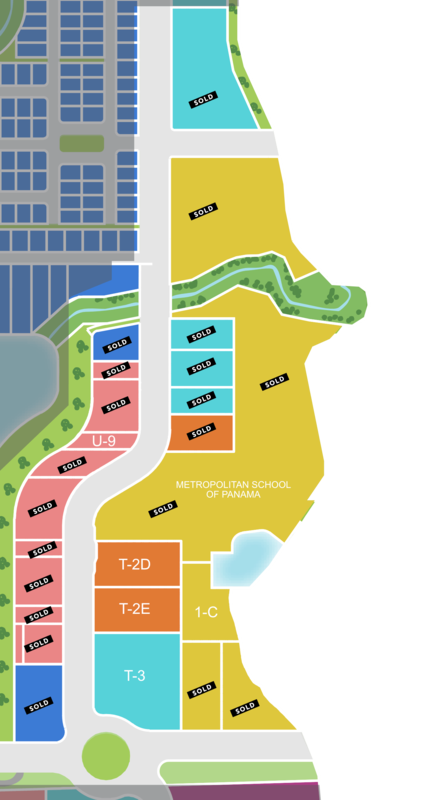 They are located in the most privileged area of the whole project: in front of the lakes. Is an exclusive area for restaurants, supermarkets, boutiques, laundries, bakeries and cafeterias among others. Minimum land area: 1,000 square meters. Maximum height: Ground floor + 1 floor. Intended for the construction of malls, office towers, hotels, department stores and gas stations among others. Connected to a large residential area. 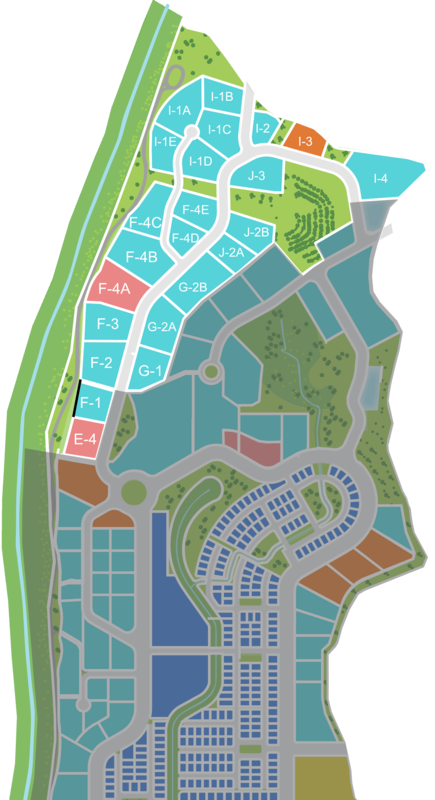 Area for the construction of private urbanization of houses, duplexes or buildings of maximum 4 floors with abundance in green areas or for the construction of one family houses. Macro-lands from 15,000 square meters. Single-family, bi-family, in a row and apartment houses. ONLY AVAILABLE IN GREEN VALLEY 2 WITH DELIVERY IN 2019! 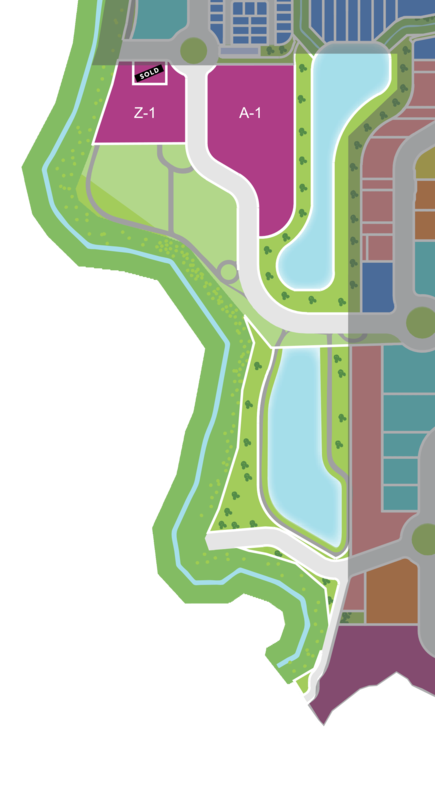 Lands from 4,500 square meters for the construction of schools and hospitals.